DTEK Energy Holding of Rinat Akhmetov increased coal imports by 2.3 times, to 1.492 million tonnes in January-June 2018 compared to the same period last year, the company said on the website of the London Stock Exchange. At the same time, DTEK’s coal production in the reporting period fell by 12.9%, to 12.889 million tonnes. In particular, extraction of gas coal in Ukraine decreased by 1.2%, to 11.426 million tonnes, while anthracite and steam coal were not produced in Ukraine. At the same time, DTEK in January-June 2018 increased production of anthracite in Russia by 7.6%, to 1.463 million tonnes. 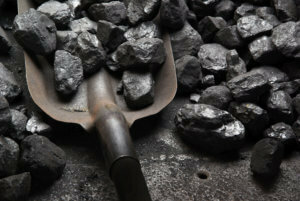 DTEK’s coal exports in the reporting period fell by 54.8%, to 206,000 tonnes. Production of coal concentrate by DTEK in January-June 2018 fell by 22.8%, to 5.806 million tonnes. In particular, concentrate production in Ukraine fell by 44.6%, to 486,500 tonnes, and in Russia by 6%, to 907,900 tonnes.